I meant to add a picture in my last blog of the moth that climbed in my ear. Well, here it is. Also, we are moving into an apartment in Rio San Juan this weekend. We’ll be happy not to have to travel back and forth so much! Working with our teens. I started a bi-weekly work project with the girls. Last Saturday we cleaned up trash on the beach (and played some while we were at it). Playing with the little kids. We went back to 2 Club Chiquito’s on Fridays, because the kids are back in school now. We’re working our way through the old testament. Friday was the tower of Babel and the kids built towers and made paper “hammers.” It’s a lot of fun! Looking for a house/apartment. We are hoping to move to RSJ ASAP. We have been looking at LOTS of apartments and houses in the area. No luck yet! Thinking about my family. My mom had a routine colonoscopy a week ago, and they found a polyp that turned out to be cancerous. She had surgery on Friday to remove about a foot of her colon. She is recovering, and the surgeon says the outlook is good; he thinks he got it all. They did a CT scan of her body to make sure there was nothing else suspicious, and everything looked normal. We’re thankful for that! Planning a trip to the states. We will be coming “home” to the states in October for a couple of week. We’re coming in the 6th, heading to Searcy, AR, for World Mission Workshop the next week, and then coming back on the 21st. We’d love to see as many of you as possible during those 2 weeks! Visiting the ER. Nothing serious, so don’t worry. 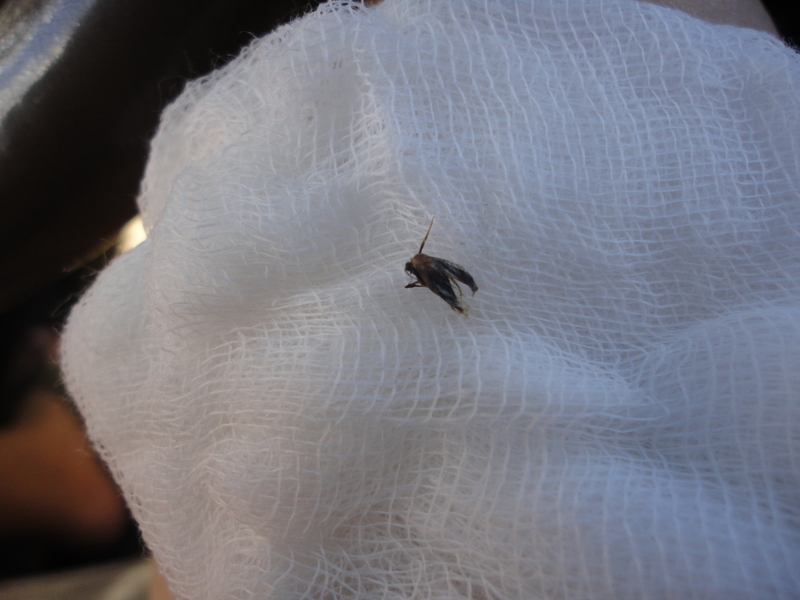 However, Friday night, while we were in bed, a bug flew into my ear. I tried all day Saturday to get it out using water, alcohol, and Q-tips (it was dead at this point), and it won’t come out. I was miserable. So, we went to the Emergency Room this morning to have it taken out (regular clinics aren’t open, because it’s Sunday). You’ll never believe what it was… (building the anticipation)… a MOTH. I literally have a phobia of moths, for those who don’t know, so this is more than a little ironic. The good news is, there are no bugs in my head now (that I know of) and both my hearing and equilibrium have been restored (it was, like, all the way in my ear, making me dizzy… ugh.). Thank goodness. Tomorrow is the day that the last American group will return to the states, and everyone has mixed emotions about it. Although Evan and I have focused primarily on our ministry in RSJ, we have tried to offer as much back-up support to the groups as possible. Before the summer started, our team made the decision to point the work of the weekly groups more towards what is happening in Rio San Juan, where the majority of the team’s ministry is. Each week we have done a community day, work projects, and a VBS here. It has been absolutely awesome to have all the support from the team and visiting group members throughout the the summer. We have thoroughly enjoyed introducing them to our kids, as well as being able to offer the teens and children here more time with people who have provided good, Christian examples for them. The groups have also provided us with a lot of encouragement for our work, and I am confident that they have been, and continue to be, praying for our ministry here . We have really loved the way things went this summer. However, we are also exhausted. We have worked really hard to get our ministry going, get to know more people in the community here, and involve our kids with the groups. Like everyone else on the team, we are tired and looking forward to some rest as this week comes to a close. That will definitely be a blessing. Another side of the story and our feelings about the summer ending is this: as this week ends, all of the interns will leave to go back to the states. We are pretty bummed about that. We had some close friends that were here this summer, and we thoroughly enjoyed working with them. I feel like everyone has worked extremely well together, with very few hitches. Although everyone had weird sicknesses and ailments at some point this summer (including Glenn, who left a week and a half early with pneumonia… miss you, buddy 🙂 ), it has been a truly blessed summer. We’re going to miss you interns! But we will be thinking about you, and praying about you all, and we know that you will be back to visit us soon (Hopefully some of you for a more extended period of time, hmmm…). Anyway, so this week is both dreaded and welcomed for us. We love you, friends who are leaving (and have left!) us to go back to the states. And we are so excited about the future of the DR ministry, and we’re ready to get moving at full speed ahead!